Let’s take a peek at these new additions, all available to VisitApps clients at no additional cost to you. Give visitors more of a big-picture view of upcoming events with a monthly calendar in addition to the chronological event list. Toggle back and forth between seeing the events for just a single day and seeing all events by simply selecting or deselecting a given date through a single or double tap on the date. The calendar view will also now show the current date. The category filter, used to narrow down event listings by type (for example, Concerts or Holiday Events) can still be used in conjunction with this new calendar view. 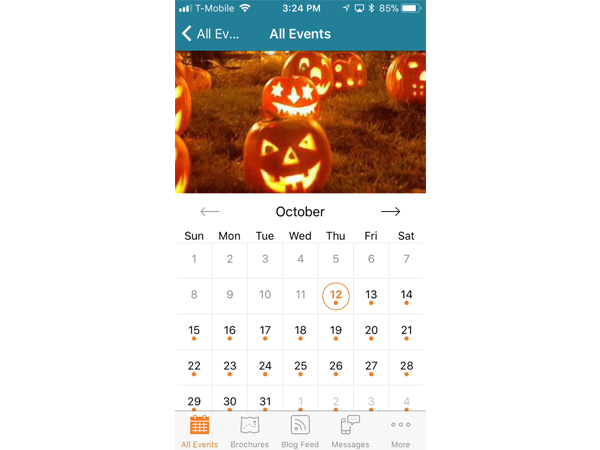 The monthly calendar is available to all VisitApps clients at no charge.Simply contact your Client Success Manager, Stephen Cavecche, and we can enable this feature within your app. 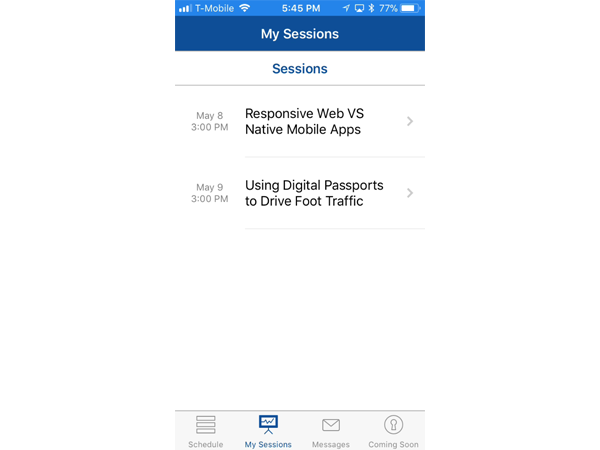 At the request of Summit attendees, in particular, we’ve updated the "Favorites" section of our apps to allow users to sort favorited events chronologically. (Previously, they were arranged in the order the user favorited them.) We further updated the favorites container to display the date and time of favorited events, in addition to the event title. All of this makes it easier for Summit and other event attendees to craft their own schedule. Even better? This update is automatic, and already available to use. Now you have control over event feeds from your Simpleview CRM. 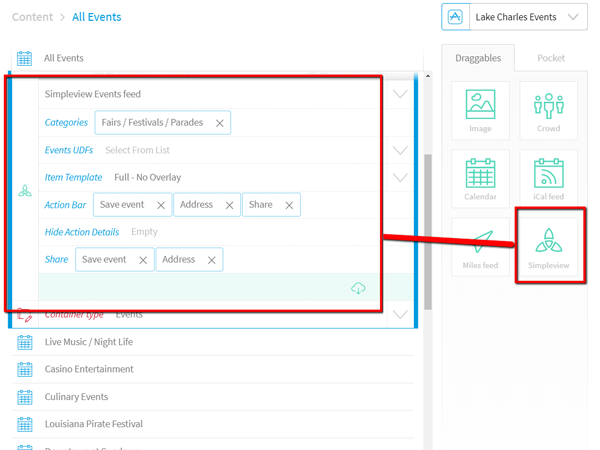 The new Simpleview Events draggable to the Mobile App Studio (MAS) allows you to set up a feed of events data from your Simpleview CRM, using whatever filters you choose. No more submitting tickets and waiting for support to set up or change event feeds. 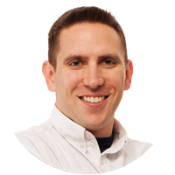 To start taking advantage of this feature, simply contact your Client Success Manager, Stephen Cavecche, and we can enable it at no charge. Want to know more about these latest VisitApps updates? Check out the SimpleFeed article in the Knowledgebase.